Ever since the passage of the Patient Protection and Affordable Care Act (PPACA) in 2010, to purchase an over-the-counter (OTC) medicine like Advil, Benadryl or Claritin with FSA or HSA dollars, this would require a prescription from a doctor. If that sounds ridiculous, it's because it is, but there may be relief on the horizon in the form of a new bipartisan bill introduced last week called the Restoring Access to Medication Act. It's a big week of headlines so let's dive in! Big news out of Washington over the past week as a new iteration of the Restoring Access to Medication Act"was introduced in the U.S. House of Representatives. Various iterations of this bill have been introduced in the past, but this one has a major chance of passing with bipartisan support from Representatives Ron Kind (D-Wis.), Grace Meng (D-N.Y.), Jackie Walorski (R-Ind. ), and Darin LaHood (R-Ill.). Two major developments would come out of this bill if it was signed into law. First, the requirement to obtain prescriptions for OTC medicines with FSA/HSA funds would disappear. Secondly, and the real newsmaker here, is feminine care products like tampons would be considered medical items for the first time, and therefore eligible for purchase with FSA/HSA funds. Allowing the purchase of feminine care products with tax-free funds is not a new idea, having been included in various pieces of HSA legislation in the past. But in this current iteration, there seems to be something here to appeal to both sides of the political spectrum, so we'll be following this piece of legislation closely in the future! To illustrate just how important lifting the OTC Rx provision would be for millions of FSA and HSA users, this week a new study from the Consumer Healthcare Products Association (CHPA) and the market research firm IRI found that over-the-counter medications save the American healthcare system as much as $146 billion per year in preventable health expenses. So if you broke that out even further, for every dollar spent on over-the-counter medicines, a further $7.20 is saved by the healthcare system. 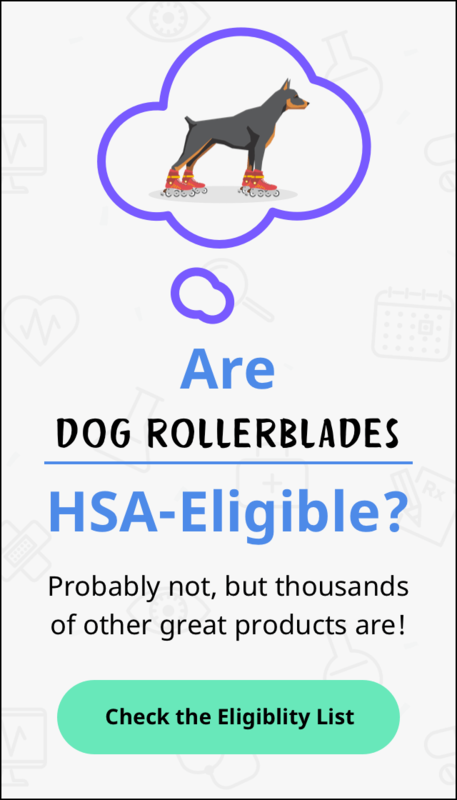 Just from our own experience in working with FSA and HSA users, having to obtain a prescription for a pain reliever or decongestant is not only an additional financial burden in copayments, missed work and other obligations, it could also delay treatment of specific conditions and prolong them. So consider us firmly in the pro-OTC Rx repeal camp!